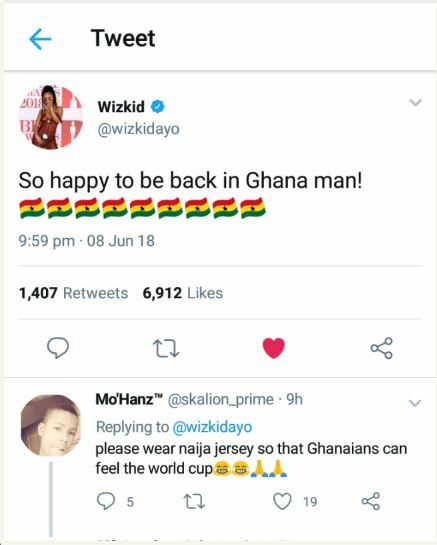 That musical showdown, Ghana Meets Naija, the brainchild of Empire Entertainment aimed at answering the constantly asked question of who is supreme between Ghana and Nigeria – two countries whose musical trends have continuously influenced each other is set to come off today, Saturday, 9th June 2018. 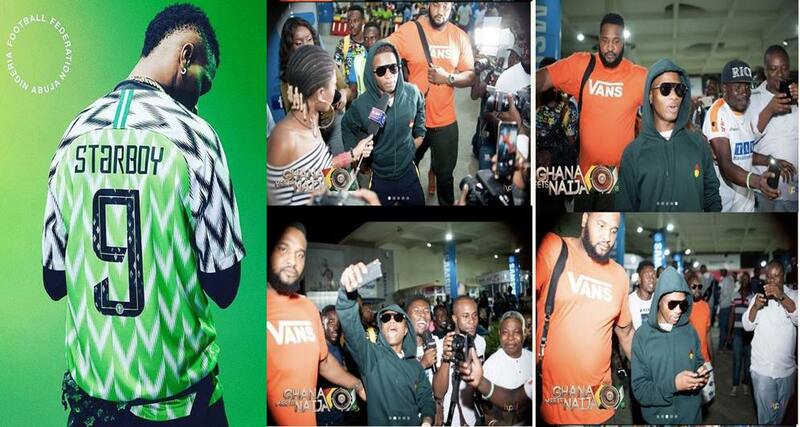 Happening at the Fantasy Dome at the Trade Fair in Accra includes these artiste representing Ghana – Stonebwoy, Kidi, Kuami Eugene, Patapaa, and on the Nigeria side WizKid, Mayorkun, Mr Eazi among others. 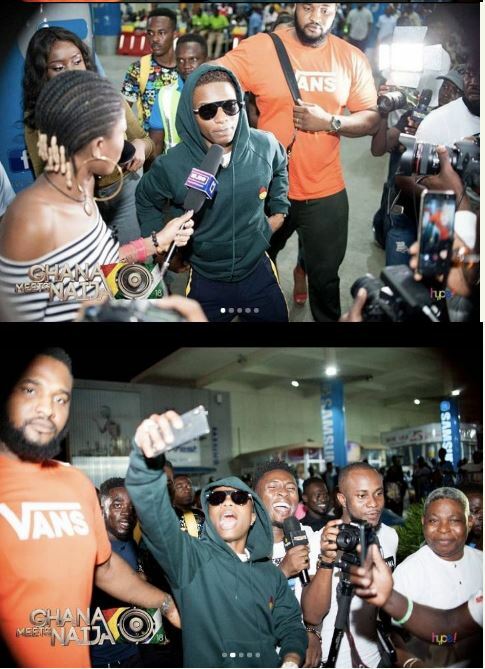 0 Response to "The Moment Wizkid Arrived Ghana For “Ghana Meets Naija 2018 Event” (Photos)"